Kier claimed the most work of any contractor in 2017, landing more than £2.6bn of projects over the 12-month period. The firm scored 602 jobs last year, beating Balfour Beatty into second place, which won 332 contracts worth a touch over £2.1bn, while One Blackfriars tower builder Multiplex took third spot, claiming nine contracts worth £1.7bn. Morgan Sindall, Willmott Dixon and Wates filled the next three spots, landing £1.5bn, £1.4bn and £1.1bn worth of work respectively. The top 10 was rounded out by VolkerWessels UK, Galliford Try, Skanska and Bowmer & Kirkland. The Index shows construction contract awards based on Barbour ABI research. It is adjusted for seasonal variation and includes monthly deflators to allow for price changes. The Index is benchmarked against the value of 100 in January 2010. 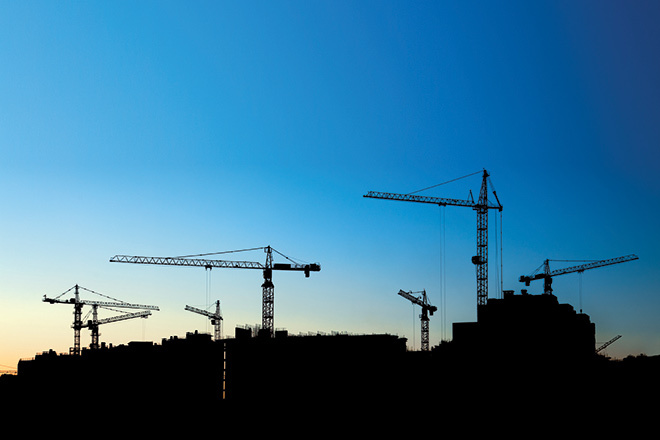 Building’s barometer is your guide to construction economics and contract wins. Each month our interactive, sortable league tables are updated with the latest contract awards across the industry showing which firms are winning the most work and where. Barometer is also the home of the CPA/Barbour ABI Index, the leading monthly measure of construction activity in 10 key sectors. Read our analysis and browse our tables to see how firms, sectors and areas are faring. Marginally more contracts were awarded in October than September – up 1% to 112. Yet, contract awards remain relatively subdued – and the long lead time in some sectors means it could be a while, well into 2013, before we see output following suit and falling away. Looking across the sectors, it’s a mixed picture, with the indices for public housing and public health falling in October – by 12% and 19%, respectively – because of public sector cuts. However, this was offset in October by contract awards in some private construction sectors. Private housing contracts were 5% lower than in September, but still considerably higher than a year ago owing to work by major housebuilders. Commercial and industrial awards also rose considerably, yet were lower than a year ago and remain at historic lows so it is unlikely that we will see substantial growth soon.